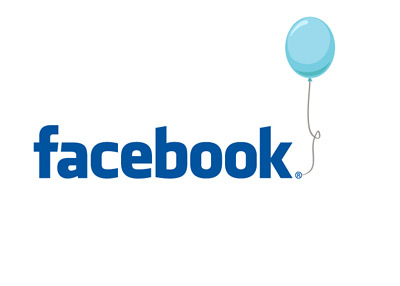 Would You Buy Facebook At a Valuation of $100 Billion? According to multiple sources, Facebook is planning on launching their much anticipated initial public offering in early 2012 (probably February or March). Facebook is reportedly going to be looking to raise $10 billion in the initial public offering at a valuation of $100 billion. Only a handful of publicly traded companies have valuations of $100 billion. Google, for one, has a market cap of $189 billion. Microsoft and IBM both have valuations of slightly over $200 billion, while Intel is worth $120 billion. Facebook will be in some lofty company when they go public in early 2012. The big question is - would you invest your hard-earned money in Facebook shares if the company had a valuation of $100 billion? Facebook is a disruptive juggernaut that has permanently changed the way that people interact. With their Open Graph, Facebook has infused themselves into literally hundreds of billions of pages on the Internet. You can't go anywhere without seeing the Facebook "Like" or "Share" buttons. On top of all of that, Facebook is a money-making machine. I know people who are spending tens of thousands of dollars per day on Facebook advertisements. Facebook Credits is also another very lucrative business for Facebook - if you are playing Farmville, for instance, and buy credits, Facebook is getting a nice piece of that transaction. Facebook was even immortalized in a 2010 movie, "The Social Network". Recent IPOs like LinkedIn and Groupon have NOTHING on Facebook. Facebook's IPO is going to be a big, big deal (both literally and figuratively). The question is - would you invest your hard-earned money buying Facebook shares at a valuation of $100 billion? Could Facebook eventually pass Google in total value? Could Facebook eventually be worth as much as IBM? Microsoft? Apple?